Bury Saint Joseph testimonials are a great way to learn from others who have had faith in the Saint and asked him for his divine help in times of trouble. These are testimonials from people who bought a statue, followed the instructions and sold their house. 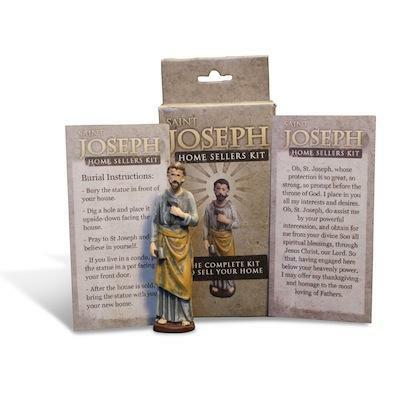 We asked all buyers to kindly get back to us with their St Joseph testimonials right after they closed the deal and then we put most of them here. I knew my statue had to come from you! We never even had time to bury him. 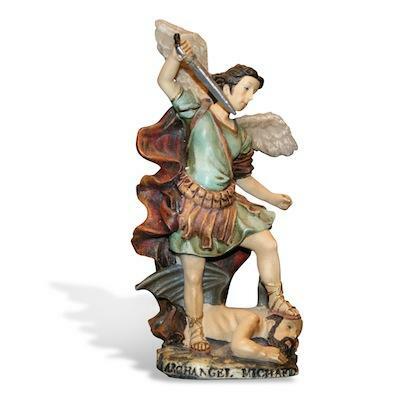 I bought the statue the day we found out my husband´s company would be transferring him. We had been through it one time before 2 yrs ago and spent months apart with 3 small children. I started my prayers while we prepared our home. We put our house on the market last Wednesday and I was waiting for the For Sale sign to go up before burying the statue but it never happened. We had 3 showings on Thursday and left to find a new home in CA on Friday. While there we got an offer on Saturday for a 2 week close and our family gets to stay togheter this holiday season. I know I have you and St. Joseph to thank. I bought St. JOSEPH STATUE to sell our house in NC. Selling worked so well, i couldn’t believe. We had offer in 2 weeks, sold the house on time i needed, when our son has had graduated HS. It was yr. 2002 I must add! In 2015 I tried to sell our house in AZ, I was not quite sure if i should, buried St. Joseph again, had negotiations with buyer, and my mother had emergency accident, i had to let it go, and not finish process. I was upset first, didnt understand why all this happened at such a crucial time? I put the house again for sale in 2016, couldn sell it for 4 mo. I panicked, relying on my buried St. JOSEPH STATUE from previous yr. When i tried to find him in the ground, he was not there. I was speechless. Upset, disbelieved, i told my husband to get another one and burried again with deep, deep praying. We had serious offer in 3 days, sold the house in month and we moved happy again to another state. We’ve found literally house of our dream, the house which was not affordable in 2015, but awaiting for us at much much lower price in 2016. This is true story of how prayers to St. JOSEPH works. The plans happen when he knows its the best time for you…. Now I buried the statue of St. JOSEPH in our new dream house, dream place and favorite spot to protect our family. THANK YOU ST. JOSEPH, OUR PROTECTOR, PARTON OF EVERY FAMILY. I LOVE YOU. Thank you St Joseph for helping us endure! We have had our house out on the market so long we never thought it would sell, but keeping to our prayers and thinking of St Joseph really helped us to keep our heads up. Thank you for your emotional support. Just want to tell you that my house is now sold. We buried the statue close to the sign, facing the house and upside down. I promise to remember to bring Saint Joseph with us and place in our new home. Thank you St Joseph – We buried a statue of him 2 weeks ago, and hes blessings really saved us. 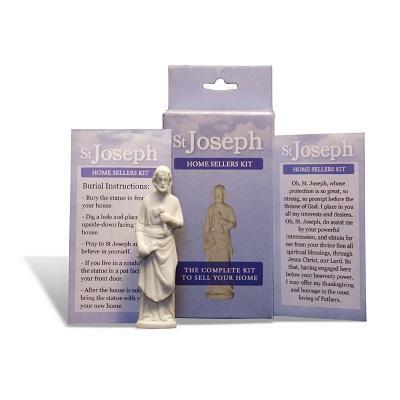 What to say – this really works, Saint Joseph helped me with my sale, just like all my friends has told me. We were told by a family member to put a statue of Saint Joseph outside of the front door, which we did for a couple of months, but it did not work. However, a family friend told us that we needed to bury the statue of St.Joseph in the earth close to the front doot and within a couple of days of doing that we had sold our home. Another friend who is a devotet catholic also prayed to Saint Joseph on our behalf during this time. Thank youSt.Joseph for your help, it means a lot to our family.